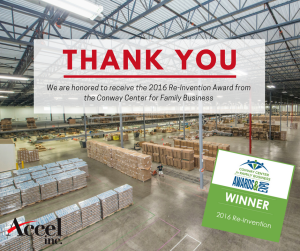 Accel Wins 2016 Conway Family Business Re-Invention Award | Accel Inc.
Last month, Accel received the 2016 Re-Invention Award at the Conway Center for Family Business ceremony. This award category recognized businesses that have successful adjusted their strategy or focus to address a changing business climate or societal demand. 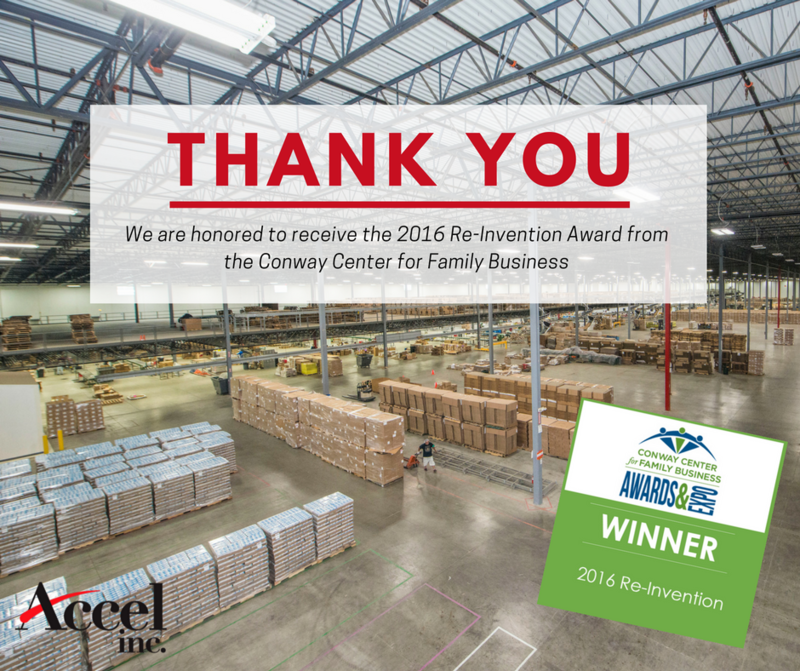 As a family business, this award is extremely important to us. We consider our employees, customers and partners an extended family that drives us to succeed and innovate every day. Thank you.